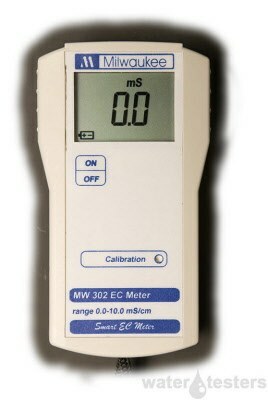 Milwaukee MW302 Conductivity Meter 0.0 - 10.0mS/cm with Automatic Temperature Compensation. Free Shipping! The New Milwaukee MW302 replaces the older SM302 Conductivity Meter used for testing bodies of water. Milwaukee MW302 Smart Conductivity Meter, NEW!